Home / Education / CBD Oil vs Tincture: What’s the Difference? CBD Oil vs Tincture: What’s the Difference? In recent years, cannabidiol (CBD) has been increasingly used for helping with many medical conditions and improving general health. Among the more than 100 cannabinoids, or chemical compounds found in the cannabis plant, it is one of the two most abundant. It is the preferred cannabinoid for health purposes because of its non-psychoactive effects, meaning that it does not make its users feel “high.” Research indicates that CBD has a positive impact on an important regulatory system in the body known as the endocannabinoid system, and can be used to enhance metabolism, mood, immunity to disease, pain tolerance, sleep, appetite, cardiovascular function, memory, and learning. CBD is now available in many different forms to suit a wide range of needs, preferences, and lifestyles of wellness-conscious consumers. You can find topicals, edibles, vapes, and beauty products that contain this beneficial cannabinoid. Two of the most popular forms of CBD product are CBD oils and CBD tinctures. Some people falsely think they are the same products, but they can differ significantly in terms of ingredients, production method, and use. CBD oil is made from high-CBD, low-THC industrial hemp. This is much different than the plants containing high concentrations of THC (tetrahydrocannabinol), which are most frequently used to make medical cannabis products. Because hemp contains only trace amounts of THC (less than 0.3 percent), CBD oil products are non-psychoactive. CBD oil is the safer, less controversial alternative that still offers significant health benefits to users. As the title would suggest, CBD oil products are made with a base or carrier oil, such as MCT oil or coconut oil. They are a versatile CBD product, as they can be ingested or used topically. CBD oil products are appearing on shelves in places like doctor’s offices, grocery stores, medical marijuana dispensaries, and health food stores. Because these CBD products contain minimal THC (if any), these distributors do not require a medical card for purchase. This is primarily because CBD is non-psychoactive, and does not produce the “high” associated with the consumption of cannabis. In addition to positively affecting the endocannabinoid system, CBD has been the focus of more than 23,000 published studies. These studies have focused on cannabinoids in relation to various medical symptoms, such as anxiety, epilepsy, inflammation, cancer and chronic pain. CBD tinctures are an age-old method of delivering the medicinal benefits of cannabis to patients of all ages. Cannabis that is high in THC (and therefore, quite potent) can be used to create a tincture. Historically, this extraction and consumption method has been limited to purely medical applications and was often referred to as a hemp extract or hemp oil. Tinctures are the oldest mass-market way of extracting and consuming the cannabinoids and terpenes found in the medicine-bearing trichomes found in cannabis plants. Put simply, a tincture is a medical solution made from dissolving cannabis in alcohol. Tinctures are herbal remedies in which the active ingredients of cannabis are completely dissolved in a high-proof alcohol or another solvent. Their effect, duration and dosing are similar to that of edibles. The high alcohol concentration intensifies the herb’s effects and expedites the absorption of its chemicals into the body. This is enhanced if the tincture is taken sublingually (beneath the tongue). Because it must first travel through the digestive system, the effects of tincture, when taken orally, will more than likely take a longer time to manifest. Tinctures are also a low calorie, smoke-free alternative to CBD oil. Because the potency of a tincture can be strong, users don’t need to take more than two-three teaspoons of the substance per day. This may depend slightly or largely on the consumer’s weight and needs, but in general, CBD tinctures have been proven to be a potent medical solution, even with more severe health cases. Because the alcohol of the tincture functions as a preservative, tinctures typically have a multi-year long shelf life, unlike other methods of consuming herbs. A bit of history on tincture: During the majority of the 19th century, physicians from throughout North America and Europe dispensed and prescribed cannabis tinctures for many common ailments. One of the reasons why CBD oil and tincture are often thought to be the same product is because of their similar packaging and application method. Both of them generally come in a tinted glass bottle that is typically brown in color but may also be dark green, cobalt blue, or amber. The function of the tint is to block out light and keep the contents fresh. Additionally, the bottles often come with a dropper for convenient consumption. CBD oil and tincture products can look very similar due to identical packaging, so it may be difficult to tell them apart without reading the labels. Additionally, both CBD oil and tincture can be ingested or applied topically, using the same methods. For ingestion, users will need to use the dropper to drop the oil or tincture under their tongues, wait a few moments, and then swallow. If individuals are using them topically, they have to apply them generously to the target area. It’s important to note whether you choose to use oil or tincture, you will benefit from the health effects of CBD. In addition, compared to other forms of CBD, both of these products contain a higher concentration of CBD, usually ranging from 10 to 30 percent. However, the concentration levels in tinctures are more varied, with some products containing less than one to three percent CBD. The most important thing to remember with tinctures is that they are comprised mostly of other ingredients, not CBD. This can be particularly confusing when some companies label their tinctures as “CBD oil.” Depending on the tincture, there will likely be anywhere from 0.25 percent – 3 percent actual CBD contained in the tincture solution. Another distinguishing characteristic of tinctures in comparison to CBD oils is that they taste much better. CBD oil has no flavoring, whereas tinctures come in a variety of flavors, such as chocolate, vanilla, peach, mango, and green apple. A better tasting CBD oil can be important for some, as it is typically ingested sublingually (placed under tongue). This route of administration ensures better absorption of the CBD. Here, we take a closer look at the ingredients, production method, and use for both CBD oil and tinctures. A CBD oil product consists mostly or entirely of oil, with oil being its main ingredient. The amount of CBD can vary depending on the strain of cannabis that is used to extract the CBD. In addition to this, other ingredients within the CBD oil may lower the concentration of the CBD present in the product. Pure CBD oil uses isolate that is completely derived from the cannabis plant and contains no additives. The most common base oils are hemp seed oil, MCT oil, and coconut oil. However, due to the somewhat unpleasant nutty flavor of hemp oil, some manufacturers prefer to use coconut or grapeseed oil. Unlike CBD oil, a CBD tincture product will contain CBD extract, but will only be a small percentage of the volume in the tincture. CBD tinctures will usually consist of a number of ingredients that play many different roles. The base product will usually be a mixture of the following ingredients: Vegetable glycerin (or VG, the most common base), coconut oil, ethanol, vinegar and alcohol. The main purpose of the base ingredients is to dilute the solution so it can be mixed with other ingredients. Examples of secondary ingredients found in CBD tinctures include natural and artificial flavoring, sweeteners, water, and emulsifiers such as polysorbate 80 and lecithin. CBD oil is usually produced using one of two methods: alcohol extraction and carbon dioxide extraction. Developed by Rick Simpson, the alcohol extraction method involves soaking the cannabis plant material in ethanol, butane, alcohol from grains, or another solvent. After soaking, the remaining liquid that contains CBD is evaporated, leaving behind pure CBD oil. The carbon dioxide extraction method uses different carbon dioxide pressures to extract CBD oil. The cleanest and purest form of CBD oil is obtained with this method. Similar to CBD oil, CBD tincture can also be made with the alcohol and carbon dioxide extraction methods. However, the alcohol extraction method for tincture does not require evaporation. The cannabis is simply soaked in high-proof alcohol or another solvent, which is then strained and stored in an airtight container. The carbon dioxide extraction method follows the same process, with the exception that the plant materials are decarboxylated first before being soaked in the solvent. Compared to any other products, tinctures are perhaps the most pure applications of CBD, as manufacturers don’t do any separate processing of the CBD oil. While both CBD oil and tincture offer the same health benefits to consumers, they are used for different purposes. Since CBD oil is generally more concentrated, it is often used for treating more severe conditions, like seizure. “It is the preferred option for busy people who do not have the time to take it several times a day, and the best option for heavier consumers who need larger servings/doses. If you are just starting to experiment with CBD or are looking to start small, a CBD tincture may be the most suitable option. Remember, each drop typically contains less CBD than a drop of oil, which allows you to control the serving size more easily and accurately. 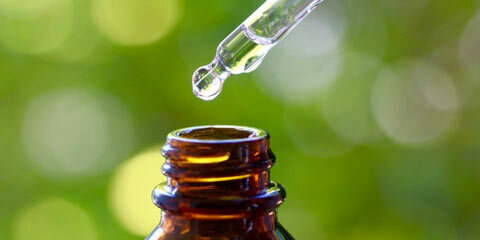 In addition, tincture is usually flavored, making it a more pleasant choice, especially for children. Tinctures are taken by dropping a couple of drops on or underneath users’ tongues. Dosage can range from 100mg-1000mg, so it is important consumers do their own research on what strength is best for them and their desired needs. Tinctures may contain ingredients other than CBD oil; additional ingredients may include vegetable glycerin, coconut oil, and ethanol. Both CBD oil and CBD tincture products may offer relief from a host of ailments, without unwanted side effects. CBD Tinctures can come in a variety of different flavors. CBD is non-psychoactive and will not produce the “high” associated with the consumption of cannabis. Whether you wish to consume CBD oil or tincture, it is important that you find and use the right products. 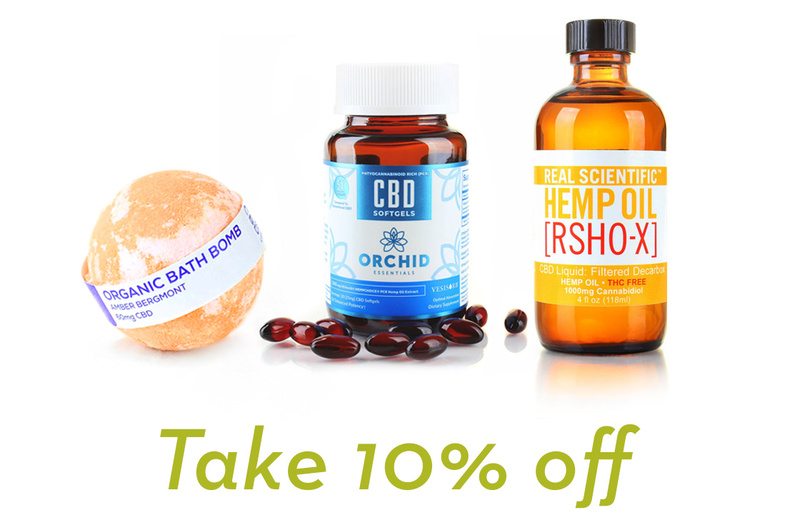 Daintri is the premier online retailer of CBD products, offering an extensive selection of topicals, oils, tinctures, edibles, vapes, beauty products, and pet products to suit different preferences and needs. Daintri’s carefully curated products are made from the finest and safest ingredients to ensure that you reap maximum health benefits from your CBD. *To view Daintri’s sources for all Education Center articles, click here. The Entourage Effect: Is it Real? Sign up for our newsletters for access to new products, exclusive sales, and 10% off your next purchase.